Leather is a skin. And much like our own skin it's filled with natural oils and fats that keep the leather water resistant, flexible and supple. Over time these natural oils can evaporate and leave the leather on your boots dry, brittle and prone to cracking. This is where a good leather boot conditioner comes in. In this guide we list the most common types of leather conditioners and explore the best leather conditioners for boots. What is a leather boot conditioner? A leather conditioner replenishes the moisture that allows leather to stay soft and supple. A good leather conditioner can replenish the leather’s natural shine, fill in minor scuffs and scratches and create a barrier for increased water resistance. 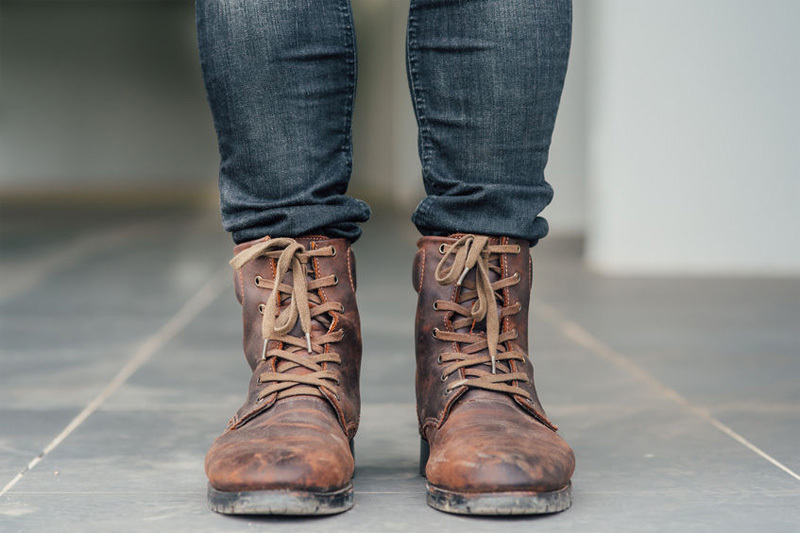 If you are looking for a way to bring those old leather boots back to life than a thorough leather cleaning and conditioning will usually do the trick. How often should you condition leather boots? The best time to condition your boots is after a good thorough cleaning. How often you condition your boots depends on how often they are worn and what kind of boots they are. Work boots and other hardwearing leather boots that are worn in harsh environments can be conditioned every month. Dress boots and boots that are worn less often can be conditioned every two to five months. If you want a more comprehensive how-to on cleaning and conditioning then check out our guide on how to clean and condition leather boots. You don’t want to condition your boots any more than every two weeks. Conditioning your boots too often can lead to oversaturation of the leather and the loss of it’s natural breathability. Some symptoms of too much conditioning are loss of color, leather separation and excessive wrinkles. Most leather boot conditioners can be separated into two categories: conditioners and waterproofers. Conditioners usually come in the form of oils and solvents while waterproofing conditioners are usually made from a wax base. Wax based conditioners are best for hardwearing boots such as work and winter boots that frequently come into contact with harsh environments. A boot oil or solvent based conditioner will be better suited for dress or casual boots to prep them for shining. Many popular leather conditioner brands keep their exact ingredients a trade secret and do not post an ingredient list on their labels. Here we will go over the most common types of leather conditioners so that you have a better feel of what’s out there. Most brands of leather conditioners are a mix of these ingredients. Lanolin, or wool grease, comes from the oil that covers the sheep’s fleece. Lanolin is an effective leather conditioner and can even be found in human skincare products. If a leather conditioner is “greasy” it’s usually due to lanolin being added to the ingredients. One downside of Lanolin is that it can have trouble fully soaking into leather and can leave a residue on your boots. Beeswax is a natural way to condition and waterproof your boots. Beeswax leather conditioners can help buff out small scuffs and scratches on the leather while creating a waterproof barrier that doesn’t completely kill the leather’s breathability like silicone. Conditioners that have high beeswax content should be avoided on dress boots as it can ruin the shine but is a great option for hardwearing leather work or winter boots that need frequent protection from the elements. Mink Oil traditionally comes from the fatty layer of mink skins. A good mink oil can coat the leather and create a waterproof barrier as well as moisturize and soften the leather. Cons of mink oil are that it will darken leather and leaves a very greasy residue that attracts dirt. Because of these properties Mink oil is better suited for hardwearing leathers and should be avoided in any leather that would require a shine. To learn more about mink oil make sure to check out our mink oil guide. Neatsfoot oil traditionally comes from the oils pulled from hooved animals in slaughterhouses. It’s a greasy liquid that is known to darken leathers. But it does a great job of lubricating and restoring leather's natural properties. Oversaturating your leather in neatsfoot oil should be avoided as using too much neatsfoot oil will damage the hide by making it brittle over time. Most neatsfoot oil leather conditioner for boots comes in liquid form which makes it easy to apply in thin layers to avoid oversaturation. Silicone makes a great waterproofing agent because it bonds to leather creating a waterproof barrier to seal it. Unfortunately this can also wreak havoc on your boots as the seal can kill any breathability in your leather. Silicone is a common ingredient in leather conditioners because of it’s waterproofing and stain resistant properties. Coconut oil isn’t a common ingredient in many commercial leather conditioner brands but it’s a popular DIY option. Those looking how to condition leather boots with household items will be interested in knowing that coconut oil is a natural way to replenish and hydrate leather. Coconut oil can leave discoloration if too much is applied and a slight residue if not worked in thoroughly. But like any leather conditioner less is more to avoid oversaturation. Now that we have gone over what a leather conditioner is and the different types of leather conditioners let’s go over our recommendations for the best leather conditioner for your boots. 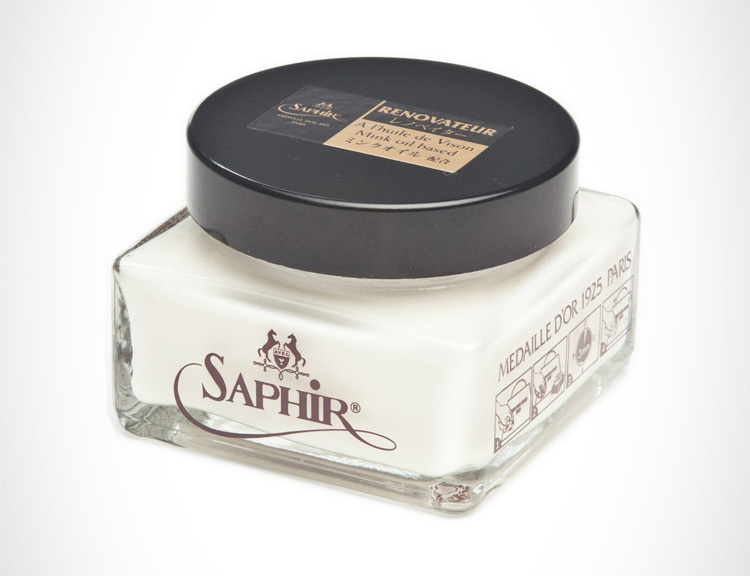 Often considered the holy grail of leather conditioners, Saphir Renovateur is known for it’s ability to add color, smoothness and suppleness back into shoe and boot leather while still keeping it’s natural patinas. This product is recommended for dress boots and fine leather such as calfskin that would can be ruined by heavy wax based conditioners. One thing to note is that Saphir Renovateur is not a waterproofer and will only condition leather. If you are looking for a good leather conditioner for boots but don’t want to pay Saphir Renovateur’s hefty price tag then Lexol leather conditioner is a great cheaper alternative that will get the job done. Lexol restores and rehydrates leather in a non-greasy formula that does a great job at penetrating the leather for a deep conditioning. Sno-Seal is a beeswax based waterproofer that also conditions and protects leather. When applied Sno-Seal forms a coating that lubricates and conditions boot leather without clogging up it’s pores and ruining the leather’s breathability. If you are looking for the best leather conditioner for work boots or winter boots that come in contact with sun, snow, salt and other harsh conditions then Sno Seal is a sure bet. Not recommended for fine leather dress boots. Newer PostWedge Sole vs Heel Work Boots - Which is better?